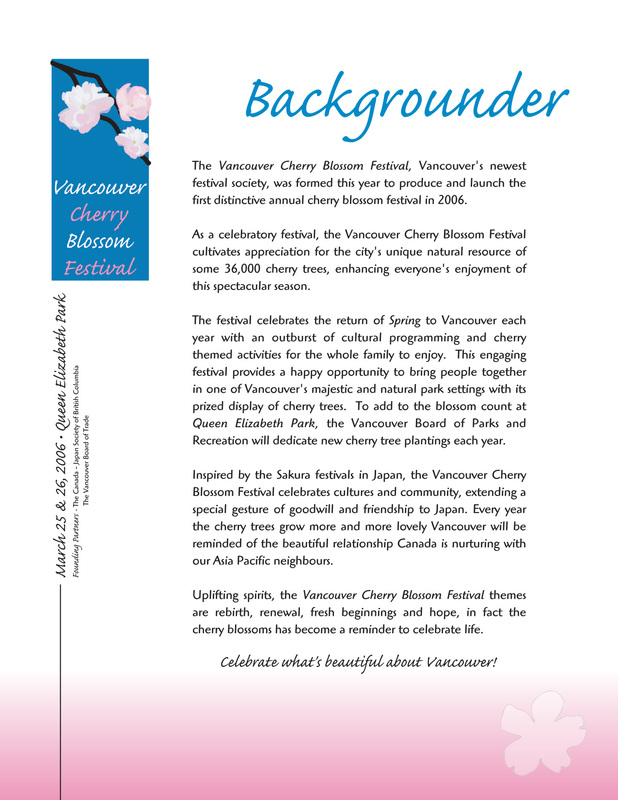 Vancouver Cherry Blossom Festival is LBK Design’s longest standing client. The festival’s leadership needed a logo created for the event’s inaugural year. Following the logo’s creation, supporting event sheets were created. As the event grew over the years, the logo and branding have been carried across print, digital and out of home.